This topic contains 4 replies, has 3 voices, and was last updated by cheetahtrout 1 week, 5 days ago. Their unique mixtures seem to have given a boost to Mutations across all species, as well as created some new ones in the process. Hayyen in an attempt to clean up the mess, has some rewards for those helping to catalog the results, as long as you keep this disaster secret. Each Player may submit up to 3 unique designs total. A one time guaranteed pass of their Mutation to one random offspring during a breeding. 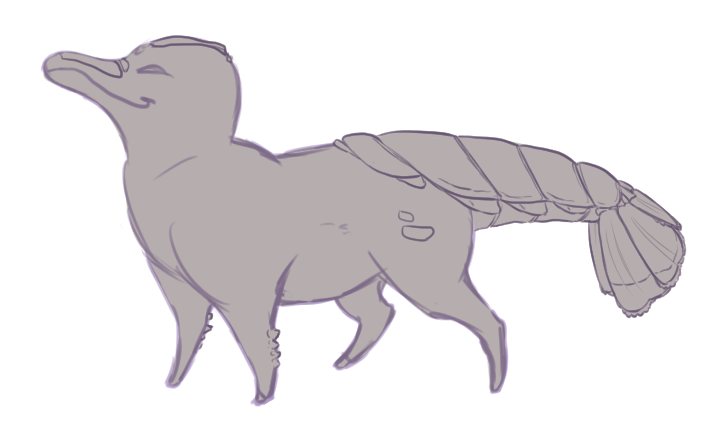 -Mutations can be naturally occurring and mimic real world mutation seen in earthly animals, or magical and add fantastic elements to a creature. -Mutations can be for Kirunhounds only, Popokee only, or shared between both creatures. -Mutations shouldn’t resemble current traits. -Mutations that add magical aspects should be neutral to lore, and not add anything outside current game information. – Drawn submissions should be similar in style to the current samples, viewed from profile and should not be overly shaded so designs are easy to see. -Written submissions should cleared describe how a Mutation will look and how it will affect the species it covers. – Both may include additional text details such as color, placement or size guidelines for new Mutations. Entries can be submitted until May 6th. Voting will be polled among players after this. This topic was modified 2 weeks, 4 days ago by Hoata. This topic was modified 2 weeks, 4 days ago by ArcaneZoo Admin. 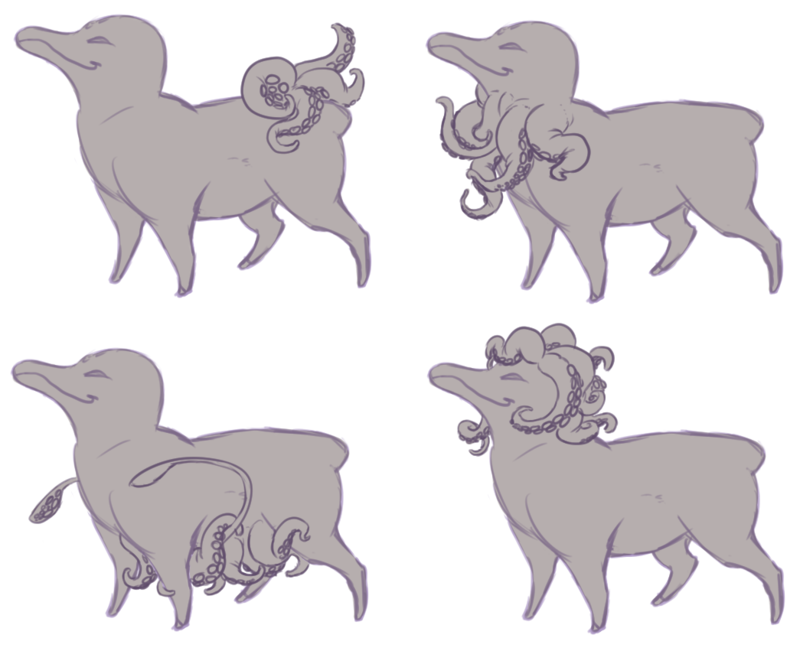 The popokee/kirunhound has two heads, though they don’t always share a personality. So long as the heads follow the popokee/kirunhound’s genotype they can be, but are not required to be identical. They will usually have two necks, one for each head, but they may be crowded onto a single point if desired. Instead of a plant, the popokee grows a number of cephalopod arms and tentacle types in the place the plant would normally sit. If the genotype is plantless, no tentacles are visible. Tentacle types can be any from the cephalopoda family and range in number. The Kiruns snout ends in a trunk. The trunk type can be any naturally occuring trunk, no matter if from an elephant … or an elephant shrew. The popokee has a crustacean tail and optionally tiny pieces of plate and crustacean nobs on the body.